You may think that being a Customer Success Manager is a piece of cake. A cherry on top, after years of working in customer service. Is it though? Well, it’s not for me to judge. But I’m here to bring you closer to all the specifics I learned from LiveChat’s Customer Success Managers. To better understand their role, let’s recall what Customer Success Management is in general. Customer success is when customers achieve their Desired Outcome through their interactions with your company. In contrary to customer support, where a customer comes to you with an issue and you merely solve it, customer success is about taking a proactive approach. It’s reaching out to customers, taking care of them, targeting problems before they even happen and trying to make changes in the product. It’s knowing customers’ business needs and stepping into their shoes to increase recurring revenue and reducing churn. If you still wonder how to make a great customer success strategy, read the recent post – Customer Success Management in SaaS – LiveChat Team Strategy. Once you have that strategy, you can focus on the person responsible for it – Customer Success Manager. 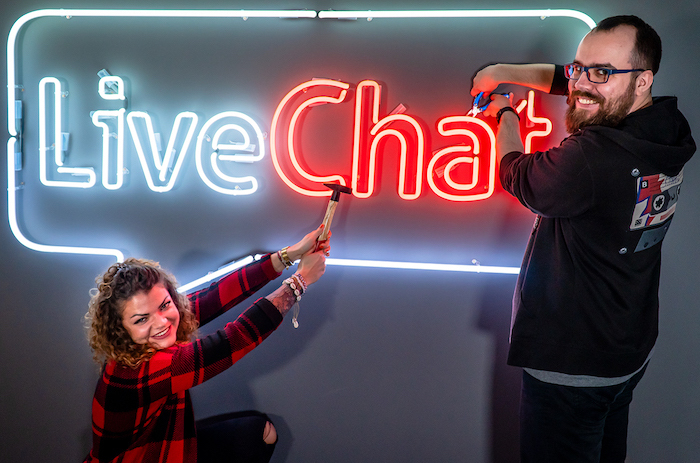 I interviewed Martyna and Jakub, LiveChat’s CSMs to find out more about their work, tools they use and skills they possess or want to improve. First, let’s break through the skills that a great customer success manager should have. It’s no surprise that a Customer Success Manager has to have excellent interpersonal skills. Talking with people should be a great pleasure for them, otherwise, they will be tired with their jobs, and therefore, not persuasive at all. However, if you want to work with customers, but you’re not a born salesman, who could sell sand on the desert, remember – attitude is the key. You might not be the people person, but if you’re willing to help, the rest just follows. (You will just be more tired than the people who love this kind of stuff, but you got this!). Martyna, our manager, doesn’t have a problem with either of these things. She always has a positive attitude towards other people. M: How do I start my day at the office? Well, I kick off with the biggest coffee, wear a smile and I’m ready to help my people! That’s the spirit, we all should imitate! Having experience in customer support or account management is nice to have and will make the work easier. Jakub began his work at LiveChat as a customer service agent 6 years ago, then he became an Account Manager with the focus on customers’ subscriptions and payments. Today, he’s happy as Customer Success Manager. I asked him what changed since the day he started? J: Well, I’m still contacting with customers but in a different form. Customer support is more reactive – we wait for the customer to visit our chat. Being a customer success manager is on the other side of this spectrum – we proactively reach out to our customers. We also have a chance to build a strong bond with them. And thanks to my experience as an ex-support hero, I can relate to many user cases and suggest the best set–up for each of the companies I would reach. Knowing the product in and out is crucial. It’s the only way Customer Success Managers can present the benefits and solutions suitable for the customer’s business. Since their job is to achieve customer’s desired outcome, they need to know exactly what they have to offer to find the solution that will make customers happy. I can’t imagine it any other way. M: I’m in touch with prospect customers – businesses which are on the trial and testing the tool. My priority is to check their requirements, goals and guide them to the best solution. Knowing the product is inevitable to get my job done. Technical skills are also important, as managers should know how to persuade customers to adopt new technologies or adjust the tool to their needs. It’s also a part of the knowledge about the product. Now, let’s look closer at how these skills are used in everyday tasks. One of the main goals is to build strong relationship with potential customers. Martyna works with prospects that are on the trial and testing LiveChat. Her priority is to recognize their needs, goals and present suitable features and the right pricing plan for them. M: I mainly focus on customers’ experience with LiveChat. My priority is to check their requirements, goals and guide them to the best solution. Every Customer Success Manager at LiveChat is responsible for their projects. As Martyna takes care of prospects, during her day she regularly switches between emails and chats, including concierge chats with our customers. It’s all so she can find out what they really need. For Jakub, who has worked as a manager much longer, every day is a little bit of everything – calls, email, and chats. He also pointed out an important fact – time zones. J: We have customers from all over the world, so we adapted our contacts based on time zones. We work in Poland, so when we start around 10AM we focus on our customers from Australia, then Asia and Europe. On the second part of the day, we jump to our US customers, first East Coast then West Coast. At least one day a week we start our work later (around 12 PM CEST) so we can work longer with our US customers. You don’t want to reach out to customers during their cozy evening, just because you have office hours. Be flexible and you will have better chances of talking to your customers. The key is to ask the right questions, listen and forward the feedback to product teams. Besides talking with customers, our customer success team meets regularly for brainstorming to talk with each other and come up with ideas on how to make LiveChat’s customers even more satisfied. J: Each day is different. One day we can put our focus on contact with customers and the other day we spend a lot of time on brainstorming new projects (or improving existing ones). Managers at LiveChat use multiple tools. From the ones that help them aggregate customer information, such as CRM and Google Docs, to the ones that allow them to analyze the data, such as Amplitude and ChartMogul. 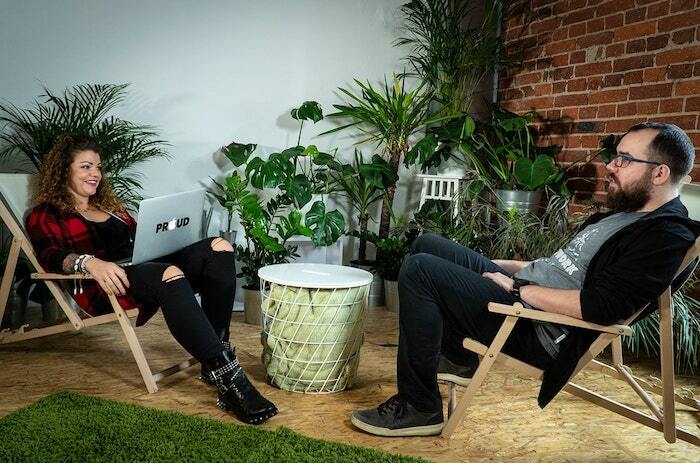 J: Without a developer’s help, we can set up a connection between different systems – for example, when we mark a contact in Google Sheets, we place a customer on an email automation path, and in the same time we send an event to Amplitude. You have to admit, without these essentials, even the best software won’t help you in making your customers happy. If you’re an avid reader of our blog, you probably know that there’s no point in doing something that can’t be measured, otherwise how would you know that you’ve succeeded? J: Each project has a goal – for example, increasing the conversion or reducing churn. Every touch made by CSM is measured in Amplitude – each event has multiple variables – which CSM made a touch, type of touch they made (email, chat), goal and journey. Thanks to that, we know how we performed. What’s also important in measuring success is that if our CSMs notice drops in events, they quickly pivot the project. J: SaaS business is very dynamic and the project that is working great today can be outdated tomorrow. M: My goal is not to be the best but better than yesterday. First one is impossible, second within reach. One of my favourite questions to ask people regarding their job is: “What do you like best about your job?” Suddenly, people think about their work in the most positive way, reminding themselves why they actually wanted to do it at the first place. Unfortunately, overwhelmed by the amount of duties, we forget about is sometimes. M: Thanks to the LiveChat team and our customers, I get a chance to learn every day. It’s not only the people I see daily, but also the companies we work with. J: Seriously, each day is different and I love it. I can face new challenges and come up with new ideas. It’s a good sign when people who work with customers see their problems as challenges. This way, they don’t feel irritated by the constant need of helping and finding solutions. They just feel a drive to satisfy customers. When you don’t stress about customers’ cases and see them as challenges, it means you’re the right person in the right place. (Let’s hope your boss thinks the same). Constant improvement is crucial in SaaS, as everything is changing fast. Competition can quickly come up with a better solution and you need to react quickly. Besides improving the product, agents and managers also have to polish their skills to be up to date. New technologies, new solutions – it’s all crucial for winning customers. The role of customer success manager is important but the main conclusion that I have from interviewing our managers is the mindset that changes everything. The positive attitude towards customers, the drive to help them and finding the right solutions, learning from feedback, open mind, constant improvement and polishing skills. These are the things that are hard to learn but are required for the job. You need to feel it and like it first, and the use of software and your product knowledge after this. Wishing you devoted customer success managers like we have.